Size of this PNG preview of this SVG file: 512 × 399 pixels. Other resolutions: 308 × 240 pixels | 616 × 480 pixels | 770 × 600 pixels | 986 × 768 pixels | 1,280 × 998 pixels. 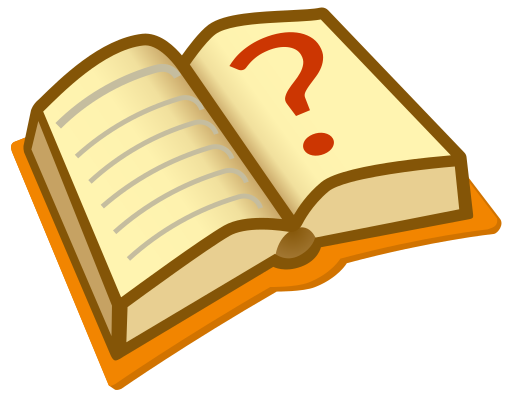 Image:Question_book.svg, Image:Question_book-2.svg, Image:Question_book-3.svg, Image:Question book-4.svg (Commons version).